People related to beauty industry are well aware about the “BeautyWorld Middle East” as it is the largest international trade fair for beauty products in the Middle East and the 3rd largest in the whole world. This beauty exhibition has been in place for past two decades where it is assisting the businesses related to fashion, hair products, fragrances, cosmetics, skincare etc. in the region and beyond. The best place for the organization of this international event is an international and business friendly city which can’t be anywhere else than Dubai. The Beauty World ME and Wellness & Spa Exhibition 2018 will be held in Trade Centre Arena and Sheikh Saeed Halls from 8th to 10th of May 2018. Like every year, this upcoming glittering event will be attended by thousands of visitors and hundreds of exhibitors from different parts of the world. Last year in 2017, the BeautyWorld ME event was visited by over 42,000 beauty lovers while they were served by around 16,000 beauty and fashion related business. It is estimated that both numbers will increase this year as the numbers are increasing every year due to the increase in its popularity with the passage of time. The average increase in the scale of event every year is around 12%. Stalls of various products and groups are allowed to be part of this show. Cosmetics & skincare, hair, nails & salon, fragrance, organic products and personal care are the most famous groups of products that are part of this exhibition. Each group is comprised of several types of beauty products that enhance the chances of more and more participants in the event. Dubai provides one of the world’s best opportunities to flourish any business related to beauty and fashion industry due to the presence of large wealthy local and foreign population. Therefore, no company would like to miss this chance to grow its business not only in UAE but also in the MENA region. Therefore, companies from different countries use this event as their launching pad to enter Dubai. Last year, visitors and exhibitors from 135 countries and 57 countries respectively participated in the event that clearly highlights the international acceptance of the event. Now, it is expected that the 23rd event of the show will break previous records also as new items according to emerging trends will be presented in the upcoming show. Just over a month is left in the start of BeautyWorld ME 2018 exhibition and the registration process is underway for one of the world’s largest beauty exhibition. 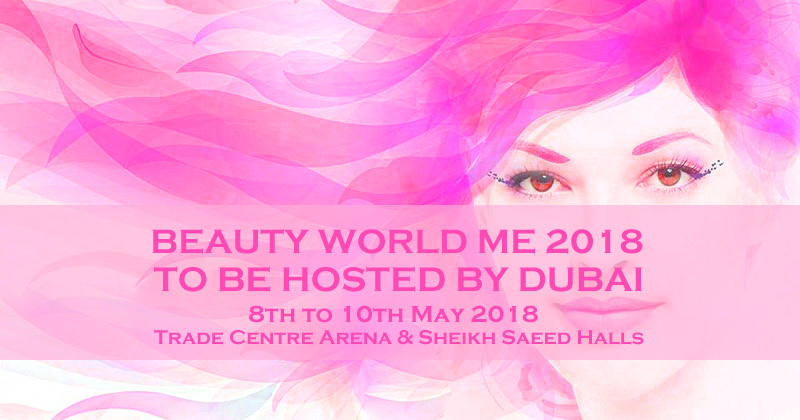 Whether you are an established beauty related business in UAE or want to enter the finest market in the Middle East, this upcoming international event will provide you immense opportunities to market your products and services not only in UAE and Middle East but also all around the world. Missing this opportunity can prove to be very costly as it will allow your competitors to get lead.